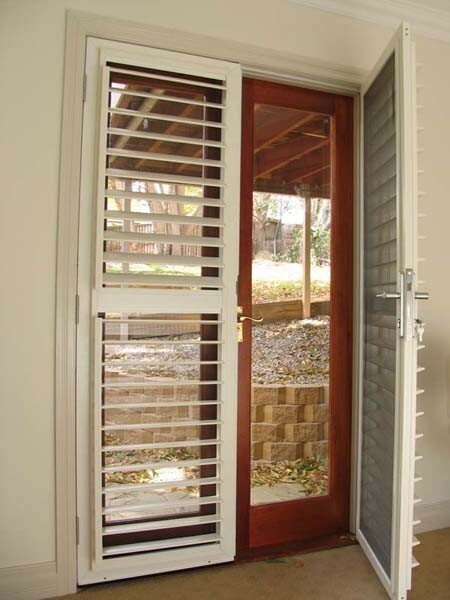 The Australian Trellis Door Company (ATDC) has introduced a new range of lockable security rated shutters for the high-end residential market, integrating security features with lifestyle benefits. An innovative removable insect screen is an important feature with lifestyle benefits, especially in Australia’s hot and humid climate, to keep out those pesky flies and mosquitoes. Easy to operate turn-on buttons allow for quick removal of the insect screens for cleaning; however, the screens may be permanently screw-fastened in a limited number of cases. Key features of ATDC’s new lockable security shutters include ample privacy and shade; sliding multitrack multi-fold systems preserving views; adjustable louvres allowing the homeowner to control the amount of sunlight, breeze or fresh air flowing into the home; aluminium extrusions with a high quality anodised finish ideal for installations on external façades, offering resistance to the weathering effects of the sun’s UV rays as well as rain, storms and dust; resistance to warping, cracking, fading and degradation when installed on the building’s exterior surface; and longevity and durability enhanced by a professional UV-resistant powder-coated finish. Security features of ATDC’s premium grade lockable shutters include marine grade reinforced aluminium extrusions locked into a heavy duty surrounding metal frame; and a 3-way patented locking mechanism. The shutters are independently tested by an independent NATA approved testing laboratory to meet the security provisions AS5039 and 5040 of the Australian Security Standards. In residential applications, ATDC’s lockable security shutters can be used to cover French doors and patio doors, sliding glass doors, bi-fold doors and windows. ATDC’s lockable security shutters are also suitable for commercial applications such as retail display windows, showroom windows, hotel sliding doors and patio doors, restaurants, bars, schools, office buildings, universities and more. Currently being sold widely in Sydney and Melbourne, ATDC’s lockable security shutters will soon be available for sale in Perth and Brisbane.